3 Weird Spa Treatments that are Totally Worth the Money - 2NGAW! Slaving away at work could earn you a lot of money but could also take its toll on your body. At the end of each work month, or even each work week if you can afford it, try to relax and rejuvenate yourself with spa treatment. While you will find a lot of spas offering various massage options (like Swedish and Thai massage) and rejuvenating treatments, you might also want to check out these weird spa treatments that are totally worth your money! Ramen is a noodle meal that one easily associates with Oriental countries like China and Japan. It’s a delicious meal, really, but did you know that you can also take a ramen spa bath in Japan? Whoa! In the bathtubs of Yunessan Spa House in Hakone, Japan, you can soak your stress away with a vat of ramen noodles. The spa treatment even comes with authentic pork-based broth. Hershey’s Chocolates is a brand known for making some of the best chocolates in the world. 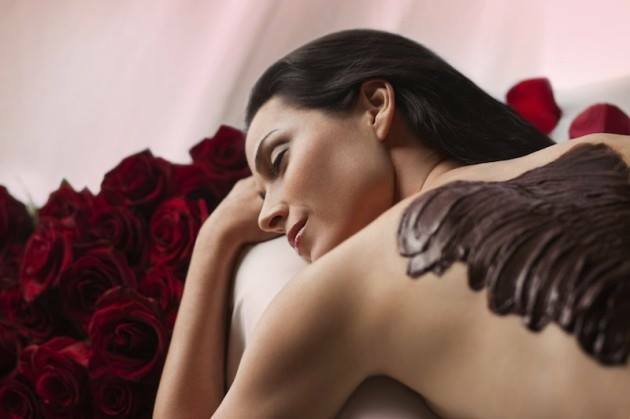 Chocoholics around the world are flocking to The Spa at Hotel Hershey in Pennsylvania where you can enjoy some of the most delicious spa treatments you can ever try your whole life: chocolate spa treatment! The ramen spa bath and the chocolate spa treatment might sound strange and delicious but you should probably try the snake massage offered in exotic spas in Thailand, Indonesia, Russia, and even in Israel. This is not for the fainthearted, of course, but if you are willing to try something new, relax and enjoy the snake massage. Plus, this would surely give you tons of bragging rights on Facebook and Twitter! So, which spa treatments are you going to try? I’ll take the chocolate spa treatment, please!